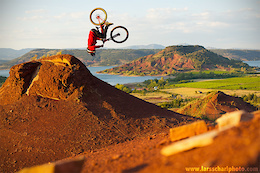 Antoine throwing a flair at a natural quarter in the hills surrounding the Lac du Salagou. Good memories!!! 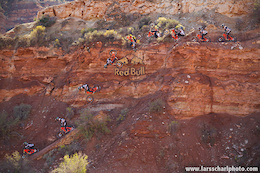 Two years ago Ethen sent this Scorpion / Tsunami flip on Antoine's jump in Virgin, UT... good times! 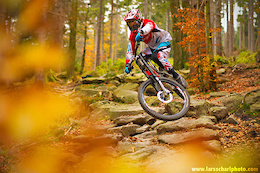 Printed in FREERIDE Magazine. Back in august when Cam stomped his 100ft. 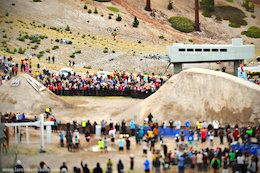 backflip in Mammoth... nice memories! Shot as second angle with a 80mm tilt/shift, just because I thought it would be a funny idea :) thanks Frithjof for the cam and lens! 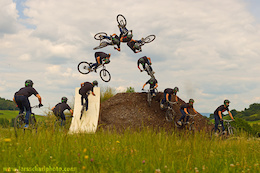 A couple of months ago Antti pulled the first fronty flair on a mtb. Happy Halloween! 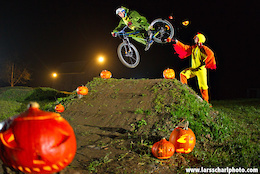 ;) German DH worldcup rider Johannes Fischbach smashing pumpkins on his backyard pumptrack. Offseason is the best season. 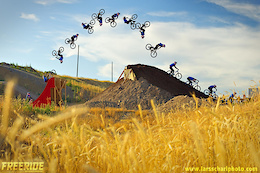 Flat drop backflip on his big bike... #notbad ! Once you drop in, there's no way out anymore. Fischi hit this stair set on the last day of our Chile trip in february. Ethen threw this one despite riding a big bike for the sixth or seventh time. Not many questions left I guess. 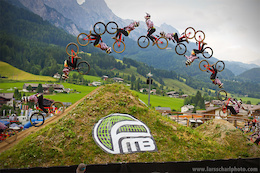 Sick session with Antoine Bizet and Ethen!! 3 drop into desert skies.